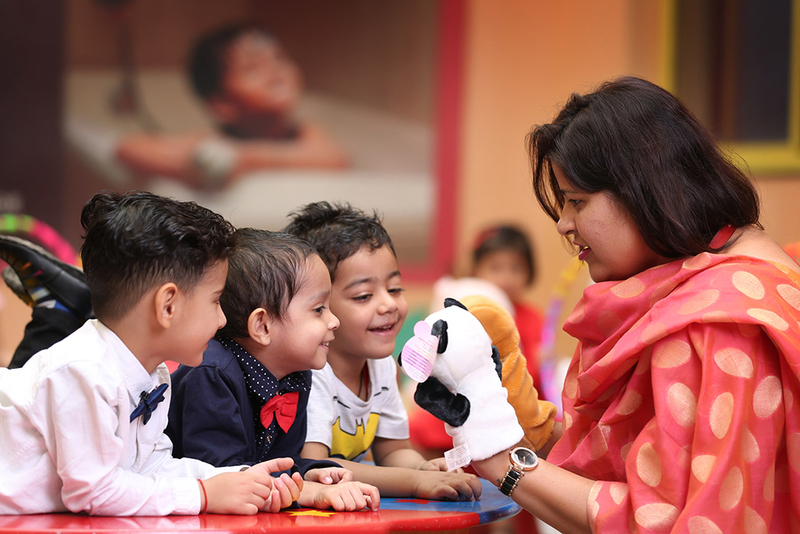 A rich variety of co-curricular activities contribute to the overall development of the children while making their school life an enjoyable experience. 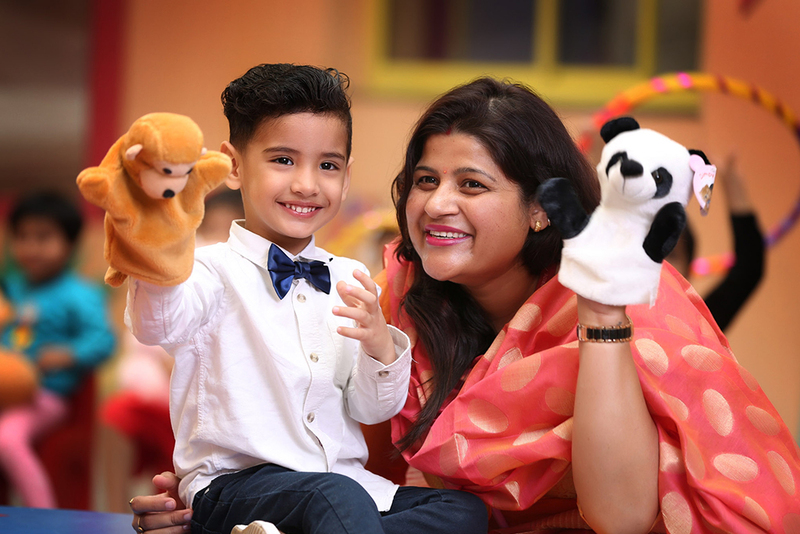 The curriculum at Mother’s Pride offers a great blend of activities which cater to all the domains of development in the little ones. 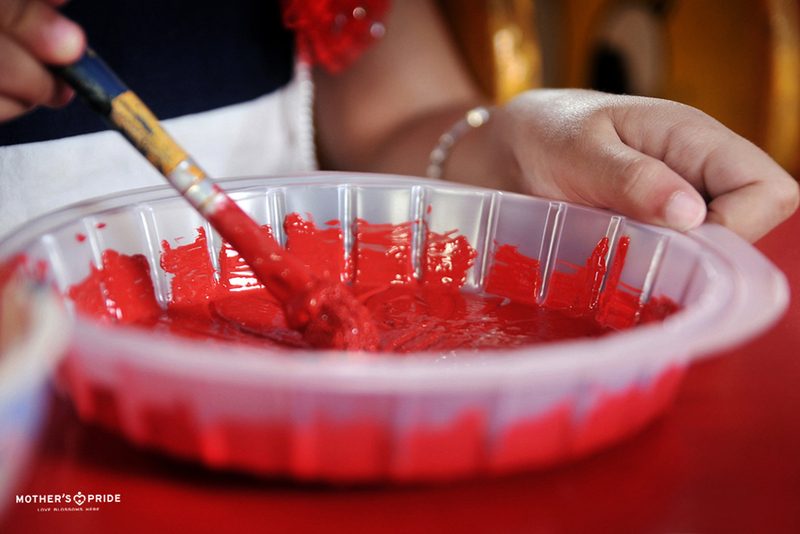 Through diverse fun activities such as art & craft, role play and clay moulding, the Prideens are encouraged to express themselves, appreciate all the art forms and in the process, have fun. There is no substitute for creative and imaginative play when it comes to teaching. Every child is born with an imagination. Allowing children to exercise their imagination enhances their creativity and creates better social understanding. This is the strength of children - their ability to pretend and fix problems with their imagination. 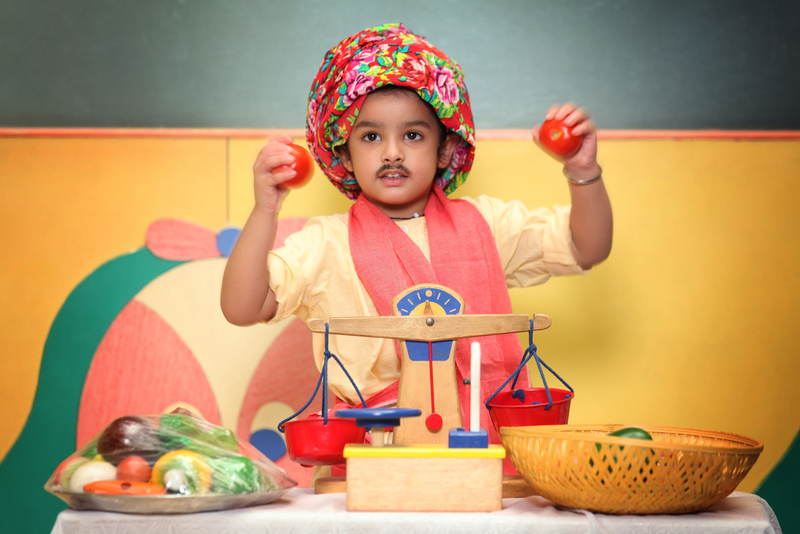 To create a better understanding of various concepts, Prideens are engaged in role plays. They become doctors, politicians and other community helpers and enact their lives. Through this activity, they develop love, respect, and appreciation for the world around them. 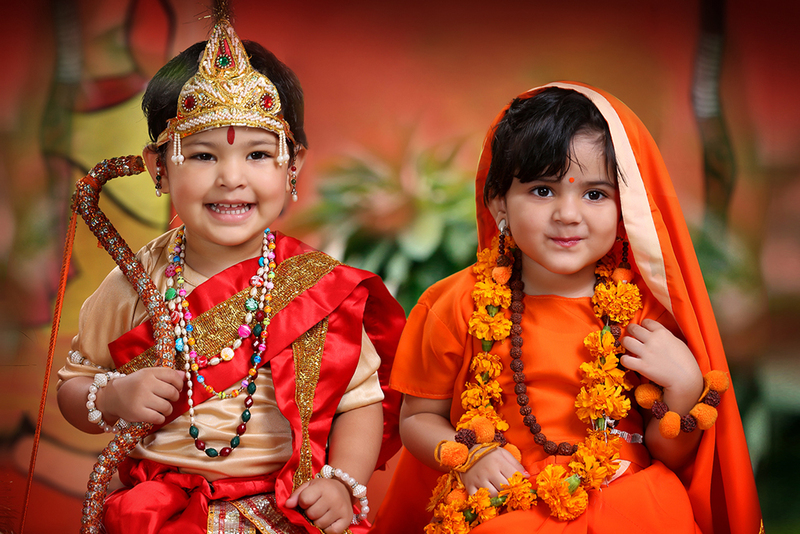 Children love to use their imaginations to move beyond the bounds of reality. 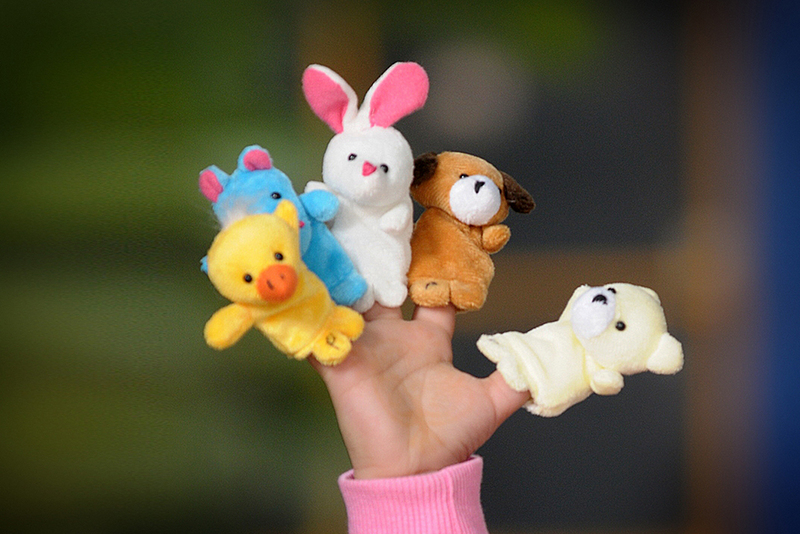 They can turn a stick into a magic wand, a sock into a puppet and themselves into superheroes. 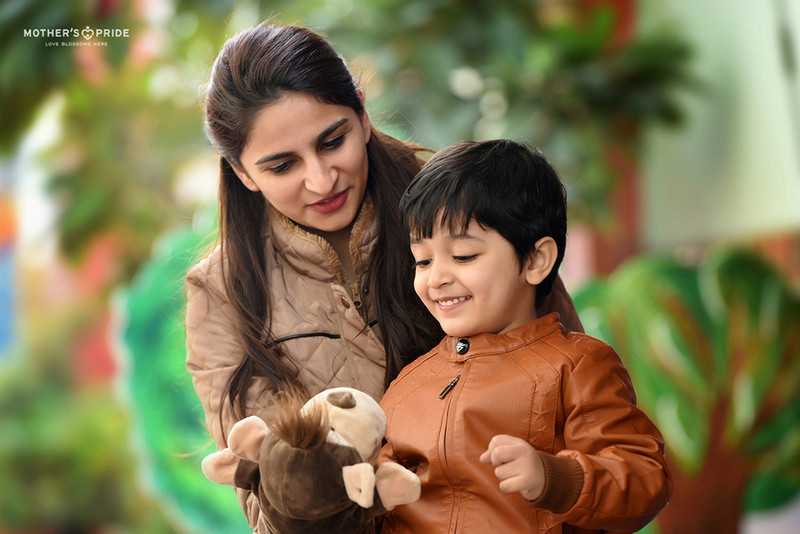 Puppets are toys that truly fascinate children; they connect as friends. It’s also a great way to draw the attention and imagination of preschoolers and while offering amazing benefits that aid a child’s development. 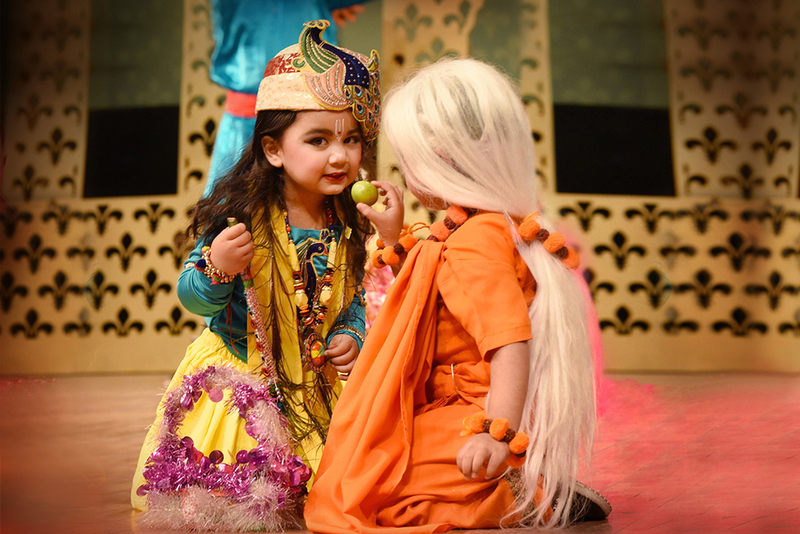 By organising Puppet Plays, we strive to bring stories to life, and inculcate various concepts like good habits, sharing, caring, etc. It also helps the kids develop vocabulary and improve communication & listening skills. 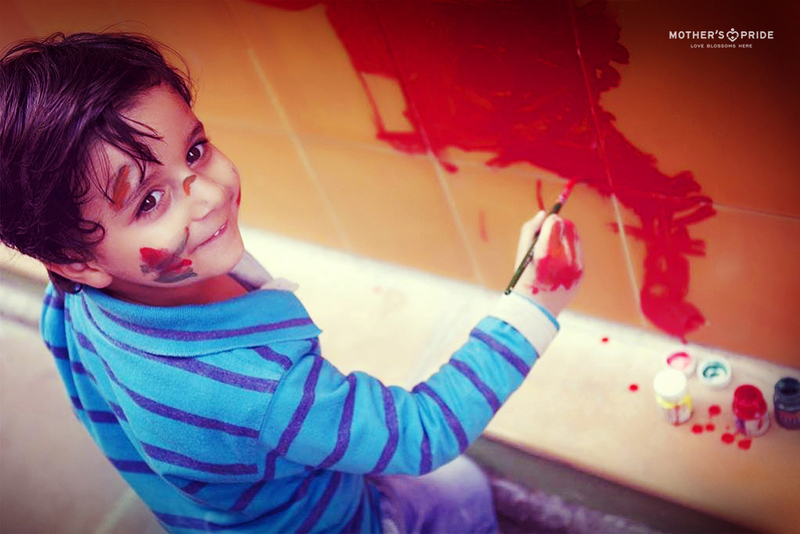 Every child has a creative world inside him. 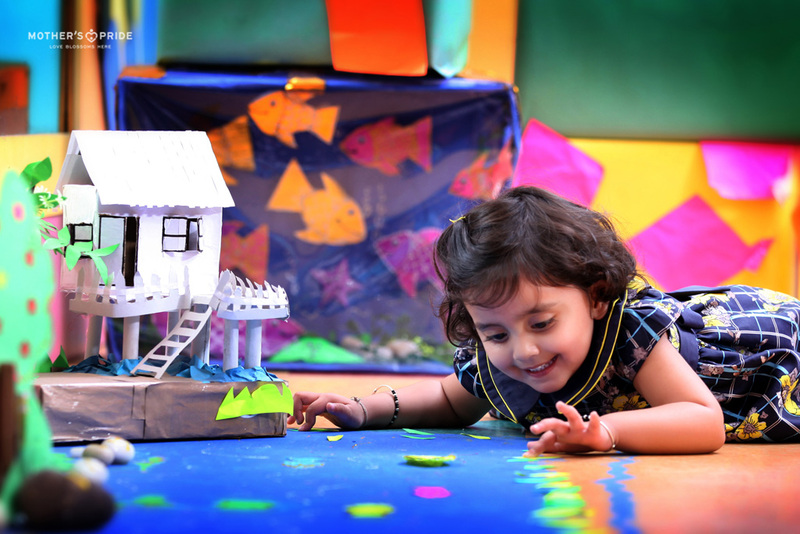 We help our children explore that world through art and craft activities. They simply love playing with textures and materials as well as putting together and taking apart objects to create something unique, something new. It provides a new set of skills for self-expression, communication and endless amazement for the children. 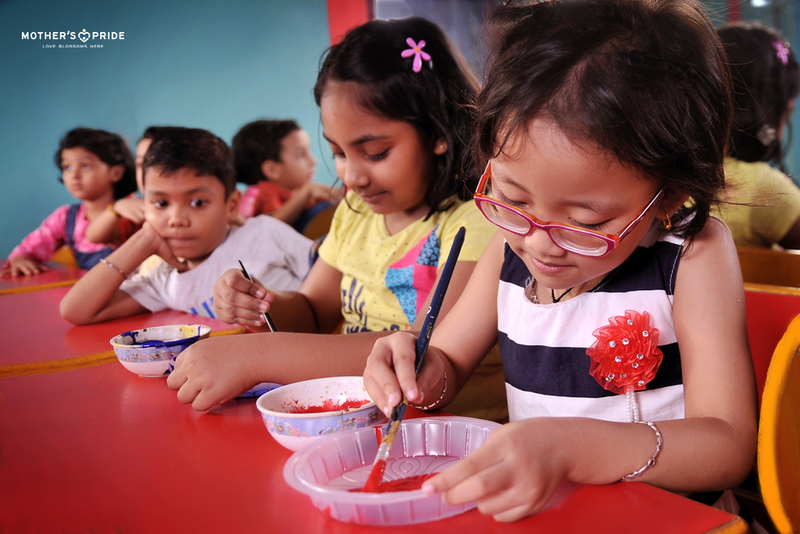 Craft work enhances their creativity, contributes to the pre-writing skills and develops grasping power among the children as they hold colours, cut patterns and draw shapes. With clay, children learn how to mould and create things around them, understand colours and shapes of the objects and give life to their imagination, using something that they can touch, see and feel. 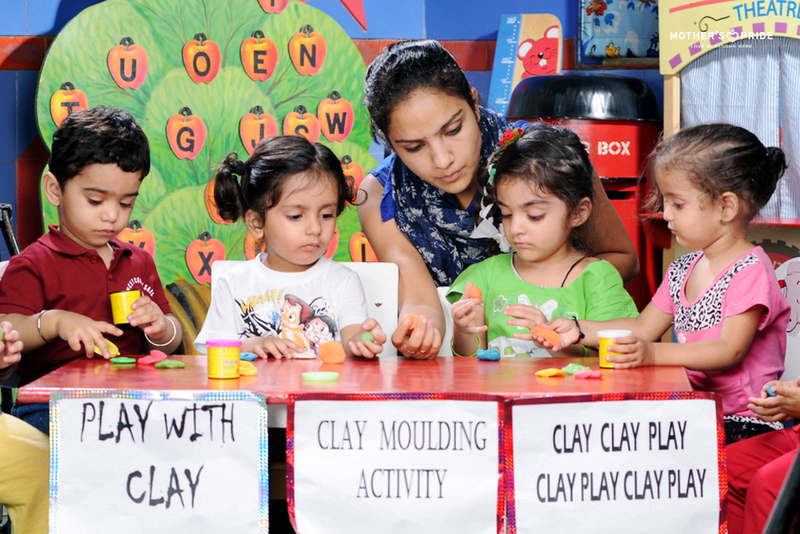 To develop fine motor, imaginative and creative skills in kids, we conduct regular clay molding sessions at Mother’s Pride. 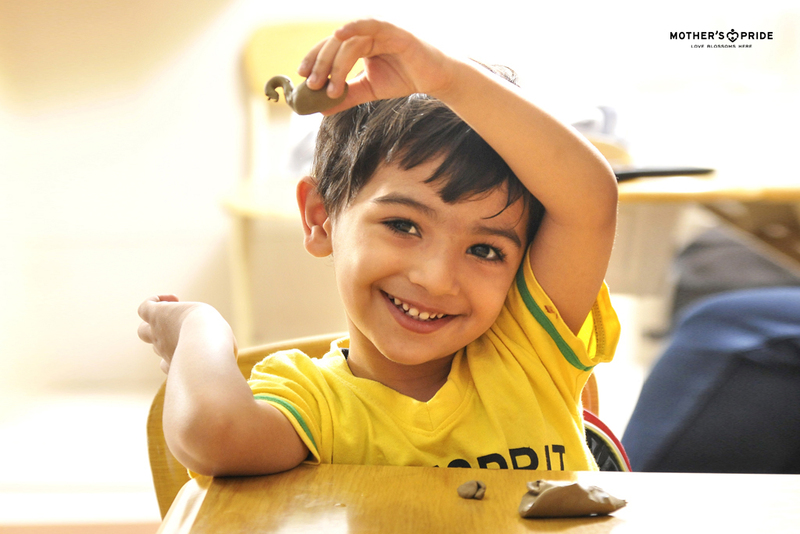 Children are encouraged to play with clay and create shapes and objects. These sessions also enhance the hand-eye coordination among children.